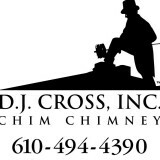 Wells & Sons Chimney Service is a chimney sweeping, relining, restoration, inspection, and repair company located in Gilbertsville, PA and servicing the majority of the Pottstown, PA area. The business is owned and operated by Avery Soderman, and it also specializes in masonry repair, fireplace inspections, and dryer vent cleanings. The hours of operation are as follows: Monday - Friday 7:00 am - 5:00 pm. Wells & Sons Chimney Service is a chimney sweeping, relining, restoration, and inspection company located in Pottstown, PA. The company is owned and operated by Avery Soderman, and it also specializes in masonry repair, dryer vent cleanings, and stove and insert installations. The hours of operation are as follows: Monday – Friday 7:00 am – 4:00 pm. 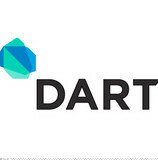 We clean chimneys and darts, dart boards, dart fitting, dart repair and restoration, We make sure the darts fly properly with the least amount of air force. Owner Skip Creswell graduated from chimney sweep school in 1986 and has lead the team at Ace Chimney Sweeps for over 20 years. Each CSIA-certified technician places safety and education at the forefront of their work. Our technicians can take care of all your chimney needs and guarantee punctuality, cleanliness and superior customer service. American Chimney has been incorporated since 1997 servicing Bucks and Montgomery County. We pride ourselves in being one of the only CERTIFIED chimney sweeps in the area: NFI,CSIA, & Fire Inspector to name a few. Owner Matt Halper trains others on chimney systems and is a Pennboc instructor. Tommy's Chimney & Masonry Services offers chimney cleaning services and gutter installation services in Levittown, Pennsylvania. Full range of home services specializing in hearth and patio. We are experts in restoration and new installations for chimneys, fireplaces of all fuel types, and hardscaping. Why do I need to hire a chimney cleaner in Norristown, PA? Fireplace cleaning always seems like a messy task, and that’s because it is. Creosote, better known as soot, forms when wood is not properly burned — unburned tar vapors stick in the flue, or walls, and are tricky to clean but can lead to chimney fires if not taken care of. In fact, about a quarter of all residential fires that occur in the United States are caused by creosote buildup. That fact alone should motivate you hire a Norristown chimney sweep as soon as possible! Other common problems that a fireplace and chimney inspection should catch are damaged or decaying mortar and joints, leaks that let in air or water, and even animal extraction. Chimney repair is an important part of keeping your entire Norristown home safe and sound, so keep yours in tiptop shape to reap its benefits safely. The Chimney Safety Institute of America actually certifies chimney sweeps, so you know if they are CSIA certified that they will do a good (and safe) job. It’s recommended that you get a full chimney inspection once a year at least, so don’t hesitate to call a chimney service in Norristown, PA at any point during the year if you suspect something is not quite right. Find Norristown chimney cleaners on Houzz. Narrow your search in the Professionals section of the website to local chimney cleaning services in Norristown, PA and read reviews and ratings to find one that fits your needs.